I've always wanted to paint my own snowboard, but I love my actual board so much that I couldn't do it. 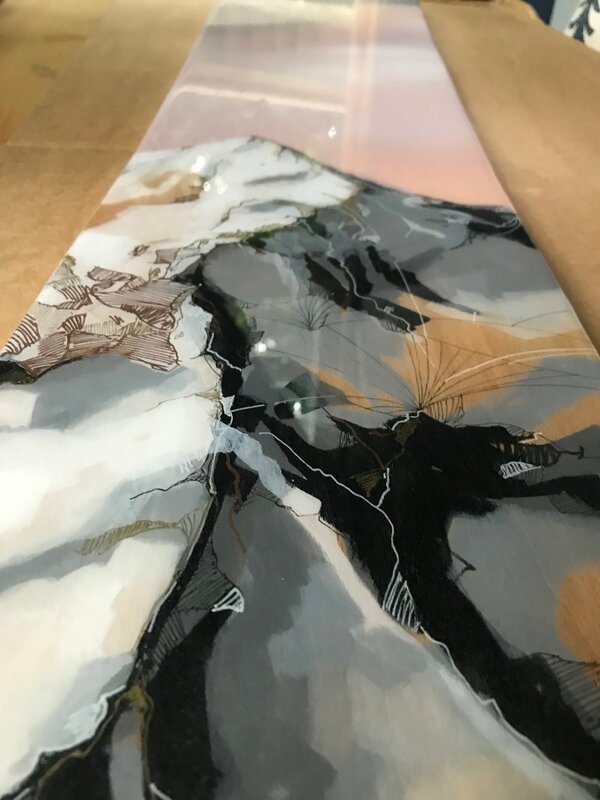 So I decided to create snowboard art. These boards are wall art, created by cutting wood to shape, painting and finally adding a resin coating. I create two sizes; a mini board at 120cm long and full size boards at 157cm long. 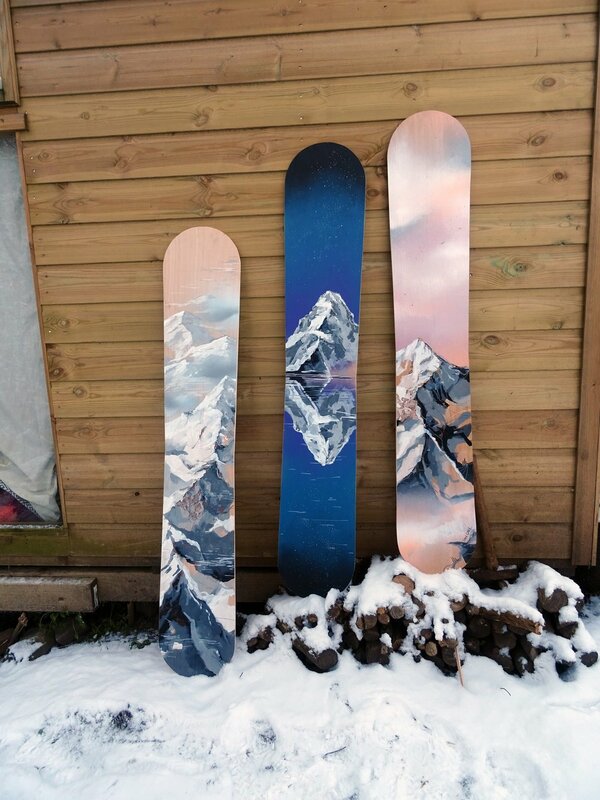 You can browse and buy my snowboards in my online shop or for something more personal you can commission me. I'm always working on new boards so if boards are not available online please either check back at a later date or drop me an email. All boards are supplied with hanging fixtures.